The Watch Tower Bible and Tract Society is dishonest. The official publications of the Jehovah’s Witnesses try to justify things like the truth of their religion, and that it is bad to accept blood transfusions. But what annoys me the most is how dishonest they are when they try to discredit the fact of evolution. What I’m about to explain is something called, “Quote Mining”. This is a logical fallacy called, “quoting out of context“. When quoting out of context is done dishonestly in order to support a position that you can not otherwise support, then it is a form of lying. I am definitely accusing the Watch Tower society of lying. So, does natural selection really create entirely new species? Decades ago, evolutionary biologist George Christopher Williams began questioning whether natural selection had such power.26 In 1999, evolutionary theorist Jeffrey H. Schwartz wrote that natural selection may be helping species adapt to the changing demands of existence, but it is not creating anything new. 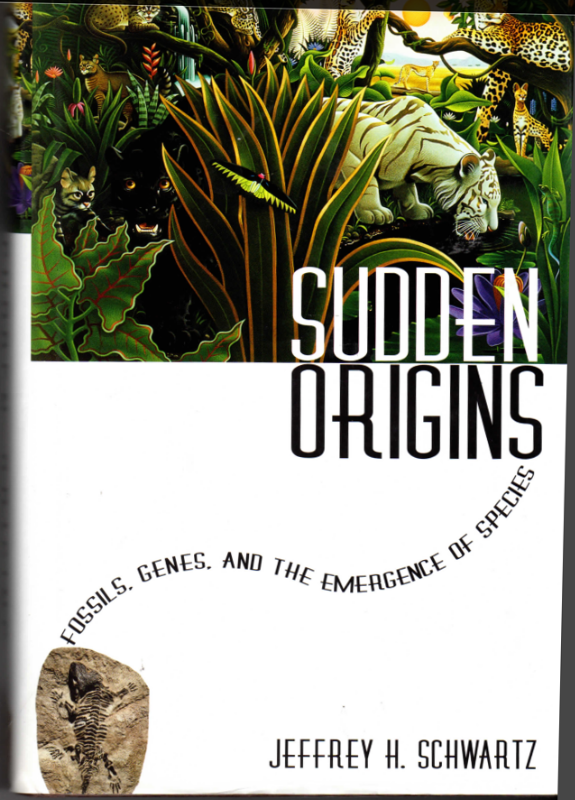 Sudden Origins—Fossils, Genes, and the Emergence of Species, by Jeffrey H. Schwartz, 1999, pp. 317-320. So, I checked to see if “Sudden Origins” was available online, or in a local library. I didn’t find it, but I was able to pick up a copy of it from Amazon. To say that “Sudden Origins” is information dense is an understatement of epic proportions. This closely written book explores the history of modern evolutionary synthesis and the most current, (as of 1999 when this book was printed) cutting edge advances in the many ways that evolution can be expressed. Schwartz is not saying that “evolution is not creating anything new” in this book. On the contrary! Professor Schwartz very firmly accepts that evolutionary changes happen over time to populations. What Schwartz disagrees with is the older evolutionary idea that evolution happens slowly, through minute changes to the genome. 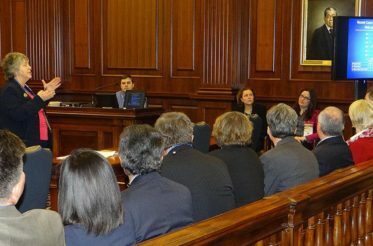 He argues that there is a mechanism that corrects genetic changes, that cells maintain a “DNA homeostasis”. According to Schwartz, Darwin’s finches, upon observation over time, seem to demonstrate this homeostasis since the bills of the finches never deviate too far. Professor Schwartz has actually authored a Journal Article for the “Anatomical Record” (link to PDF) that argues that mutation in organisms require extreme environmental stress to overcome this homeostasis and alter development. 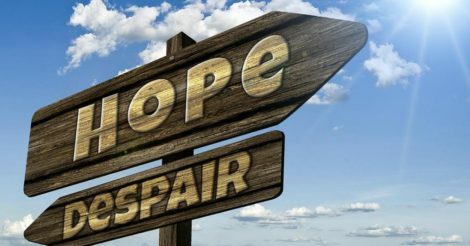 Minor stresses or natural mutations would be suppressed, but major stresses would lead to evolutionary changes that could result in new organisms. So what, exactly, does Schwartz say on pages 317-320 of his book, “Sudden Origins”? You can read it for yourself, I’ve scanned the relevant pages: (link to PDF), but I’ll paraphrase. Professor Schwartz has been explaining the history of the theory of evolution, and is now speaking about the Modern Synthesis. He talks about the interdisciplinary disagreements about evolution, and the disagreements about how evolution happens between evolutionary biologists. In a nutshell, every scientist has theories about evolution that are attached to their own fields of study, and some of these theories seem to be in conflict. Perhaps they are, perhaps not. But Schwartz points out that this conflict is often based on hierarchy within the study of evolution. And traditionally, paleontologists had the hierarchical advantage – but geneticists were fast closing in and coming up with evidence that paleontologists must acknowledge as true. Although the goal of simplicity may lead to a better, or at least a clearer, explanation, it does not constitute a test of the theory of natural selection itself. Nonetheless, it is important to realize that if, according to Williams, natural selection strives to maintain stability, then the picture of evolution that emerges is one in which nothing of significance happens until it is disrupted by mutation. Natural selection may be accommodating individuals to the vicissitudes of daily existence by choosing among the already available alleles, but it is not creating anything new. This does appear to be what Williams meant when he so clearly distinguished between individual adaptation and the processes of evolutionary change that lead to speciation. “It is not creating anything new.” This is exactly the quote attributed to professor Schwartz in the October issue of “AWAKE” and in the “Is Life Created?” brochure. But as we can see by this paragraph, Schwartz is merely discussing the research of another evolutionary biologist, George C. Williams. Evolution, for a long time, has been considered a process of mutation and adaptation through natural selection over a long period of time. Williams argued that natural selection would remove those mutation traits that would reduce fitness, making it more difficult for new species to arise. Instead, according to Williams, adaptation would only happen under unusual, or stressful, or “onerous” times, and it wouldn’t happen to the individual or the group, it would happen to the genes. Williams later came to admit that based on the evidence, group selection does occur in nature. Professor Schwartz’s book discusses the idea of sudden speciation due to extreme environmental influence. To me, it seems like his idea builds on the idea of “punctuated equilibrium” as proposed by Eldredge and Gould. Indeed, Schwartz discusses this in his book. This reference is taken out of context from my book Sudden Origins. My argument is a present-day version of non-Darwinians, including Huxley and Mivart: adaptation cannot explain both the origin of novelty and the persistence of novelty – only the latter. But changes in the molecular signaling pathways that underlie development can. So I’m not rejecting Darwin’s discussion of adaptation, only putting it in a better explanatory place. In other words, Schwartz is of the opinion that adaptation would preserve the species, not change it. Mutation at the genetic level is required for speciation. Schwartz definitely accepts that speciation happens in evolutionary terms, he just emphasizes a somewhat different method than what Darwin assumed. In other words, he’s doing science. I can’t say what the Watch Tower thinks it is doing. But it certainly is NOT science. It is obvious that someone at the Watch Tower had a copy of “Sudden Origins”. And if they read it, they would know that Schwartz most definitely supports the theory of evolution. Even if they only read this one paragraph they would also know that Schwartz wasn’t speaking for himself, he was instead quoting another evolutionary biologist who also accepts the theory of evolution. If they had bothered to google professor Schwartz, they would also know that the quote is wrong. If they read anything that Schwartz had written, they would know that he supports evolution. This leads us to the question, did the person who wrote this not actually understand anything that he or she read? Were they just that stupid? I find this difficult to believe. It would require a great deal of stupidity! No, it is much more likely that the person who created this quote out of context did so knowing that it does NOT support the position that “evolution does not create anything new”. Paul says in 2 Corinthians 4:2 that it is “shameful” to deceive by distorting the words of God (Jehovah). Is it any less shameful to distort anyone’s words in order to deceive?